Butterfly the chicken breasts open, cutting them to be the same shape but half as thick. Add salt and pepper to the chicken breasts. Add canola oil to your large skillet and heat on high heat. Add to the pan and sear for 3-5 minutes. Flip the chicken and cook on the other side. Chop the chicken into 1 inch cubes. In a large bowl add the cream cheese and ranch dressing and mix well. 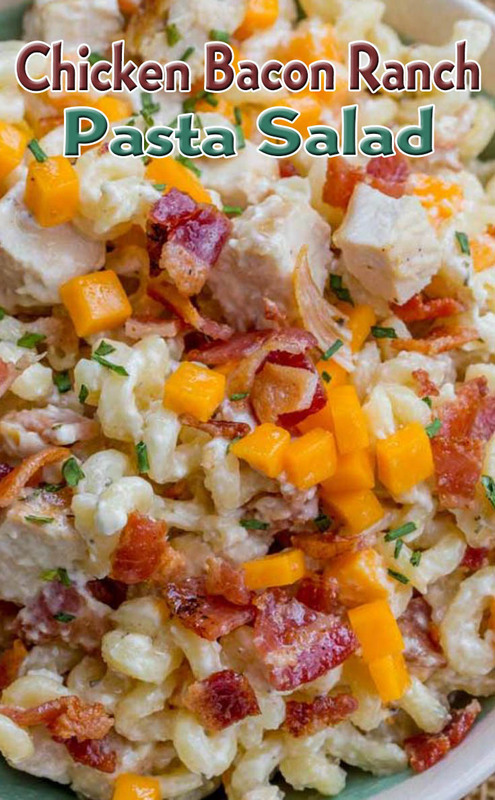 Add the chicken bacon, cheddar cheese, ranch dressing and pasta.